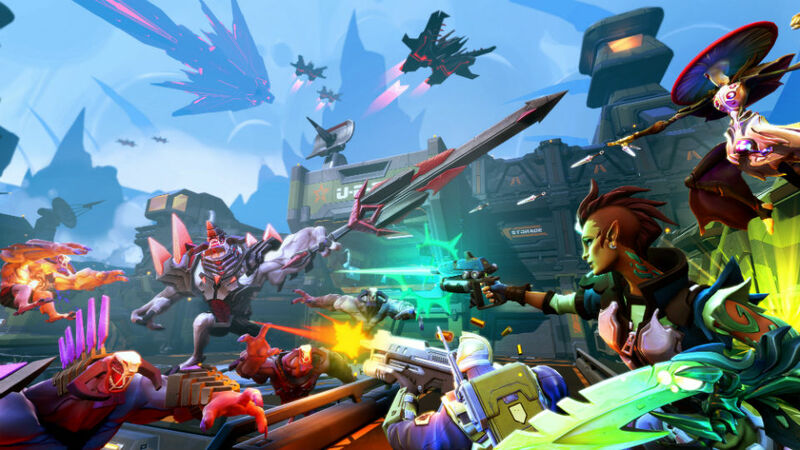 Summary: Although certainly not without its flaws, Battleborn is a solid foundation for Gearbox to build upon in the upcoming months. It took a few hours for Battleborn to grow on me and, honestly, I’m still not entirely sure what my feelings on the game are. 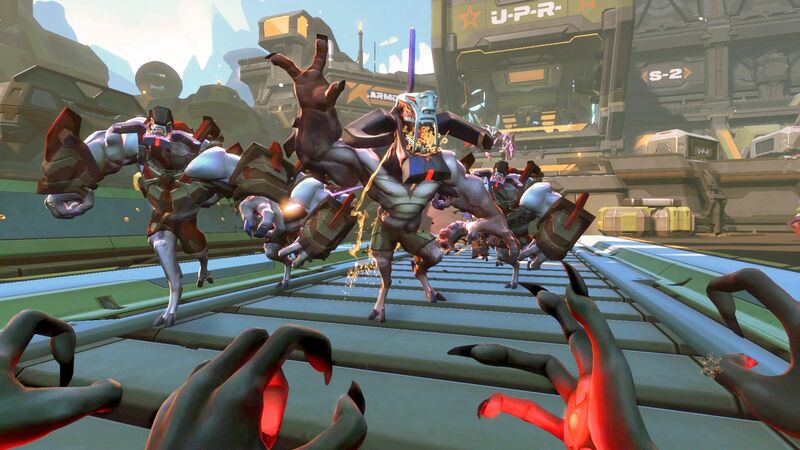 It’s a decent enough distraction and it introduces some unique concepts with its amalgamation of the FPS and MOBA genres but it falls short in some areas that rob it of its potential to truly stand out from the competition. The potential is there and Gearbox will no doubt tweak and refine the game in coming months and expunge what detracts from the formula – Indeed, they’ve already added patches and fixes based on community feedback – But at the moment the game, as it stands, will either click for you in a big way or you’ll quickly find yourself moving on from it. For me, personally, it was after unlocking ISIC after hours of grinding with Oscar Mike that made me feel some sense of progression and more comfortable with the mechanics of the game, as ISIC’s combat style, particularly using the turret mode at the expense of speed, was most conducive with how I played the PvE component, although I still find balancing issues in the multiplayer that force me to resort to all-rounder Oscar Mike when the going gets tough. 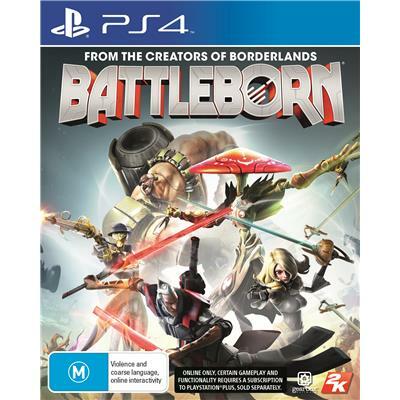 Battleborn sees you take control of a large group of heroes from disparate backgrounds forming an alliance in order to save the last star in the universe. The character roster is quite large and features hints of the design quirkiness that made the Borderland’s cast so endearing – There’s a homicidal robotic butler, a surly teen and monster combo and even an adorable penguin in a mech-suit. All but a small selection are locked off from the beginning and will take a bit of grinding to fully unlock but it’s a nice incentive to keep diving back into the fray and attempting character specific challenges. The plot elements are sketched rather thinly and act more as a backdrop to the frenetic combat rather than adding a real narrative thread but, with many games now releasing as solely multiplayer experiences, it’s nice to have any semblance of story at all. The campaign mode offers up a handful of missions that basically boil down to escorting a sentient, constantly quipping machine to the extraction zone whilst blasting all and sundry or guarding a series of checkpoints and extracting data as you get besieged by hordes of enemies. Diving into these missions with a decent team backing you up is always a fun experience, even if the missions themselves lack variety, but after a while I started to get a little tired of the random selection screen not bringing up the mission I was actually interested in tackling or the instant fails that occur if you fail to protect your objective; this latter point can get especially frustrating on missions like The Sentinel where you can make it to the final portion of the level before being overwhelmed and forced to restart form the beginning, assuming that your team once again selects that stage. I also find it a bit strange that apparently there’s no way to continue playing with your squad after the completion of a mission, forcing you to matchmake and team up with another group of strangers rather than being able to remain with a group that works effectively with each other. Hopefully Gearbox addresses this issue sooner than later, as it really is frustrating. 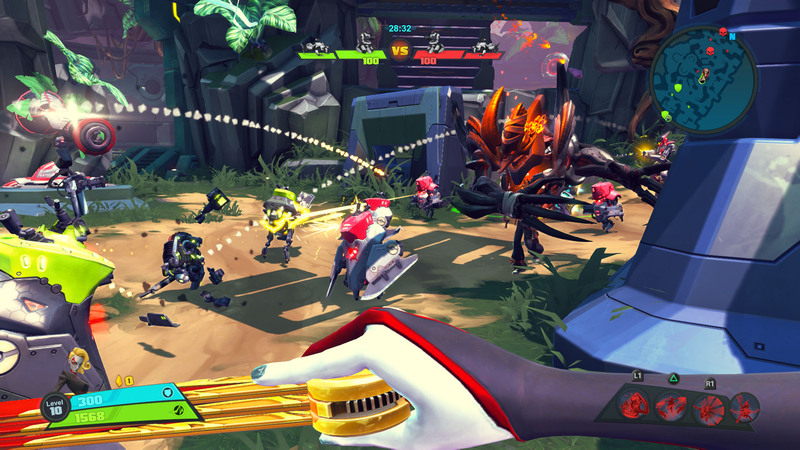 Combat wise Battleborn takes more than a few cues from the Borderlands series, with a few inventive twists thrown into the mix. You can choose to rely upon going in guns blazing or resort to melee attacks, whatever suits your playstyle, and the wide variety of characters on offer lets players experiment until they find one that they’re most comfortable with. 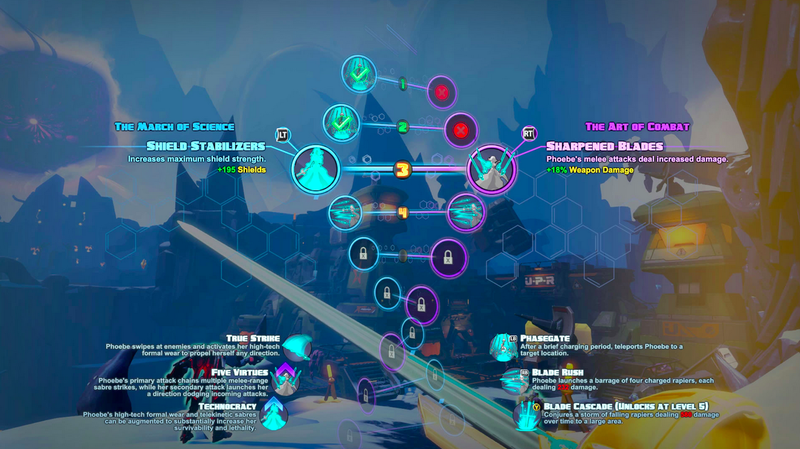 The helix system lets you change up your special attacks and abilities on the fly, unlocking as you progress through the each round and letting you tailor your character to each round. You’ll also gain access to special “mutations” that add an extra element of choice, making for wide-ranging strategies to approach each mission even whilst using the same character. Players will have the choice to use a selection of special attacks with their own cooldown meter, giving you that extra kick of firepower when things get a little too frantic. One aspect of the helix system that I feel really works in the game’s favour is that each player starts off at level one and builds their upgrades through the duration of a match or mission, ending up as a far stronger and more adept character by the close of each mission; this puts everyone on equal footing and ensures that, unlike games like Call of Duty, you’re not going up against high-levelled players from the outset. You can upgrade both your command rank and individual character rank, but the latter only unlocks new abilities that are still cordoned off until that tier of the helix is unlocked, so it makes for an even playing field, especially in the MP component of the game. This being a Gearbox title also means that there’s a heavy focus on loot and upgrade badges that you’ll be constantly swapping out and refining throughout your time with the game, bringing back the micro-management element that fans either loved or hated from the aforementioned series… Personally I’m not the biggest fan of switching out my gear for a slightly higher powered version after each match but it’s handled in a way that proves not to be too intrusive. 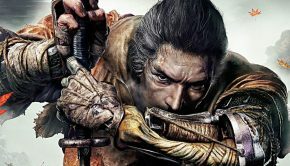 The eight campaign missions last around half an hour each and skews more towards the traditional structure, with a nasty boss lying in wait at the end and clear objectives throughout. 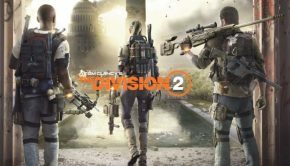 It’s a fun diversion but the elements of innovation and MOBA influences make themselves more evident in the multiplayer portion, especially in the Incursion mode. 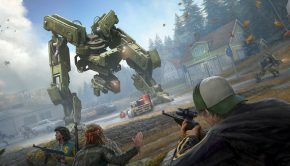 With robotic minions, turret systems and mobile sentries acting as surrogate enemy towers, it’s here that the game will appeal more to players of games like DOTA 2 or LoL. Capture mode is basically exactly as it sounds, tasking your team with taking control of points on the map and Meltdown mode sees players working together in both defensive and offensive capacity in order to herd a group of minions to be offered up as sacrifice and score big points, forcing players to split their focus between ensuring the minions are safe from ambushes as well as leading the attack on the other team in order to gain the upper hand. 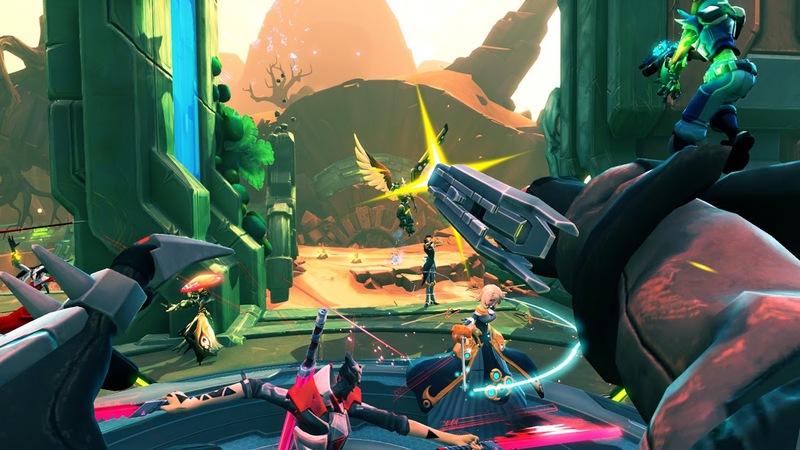 Battleborn has a unique visual style that harkens back to the days of early Saturday morning cartoons, particularly the accomplished animated sequences that open and close the campaign. The characters and environments are bright and packed with garish colour and personality. I experienced no graphical glitches or bugs throughout my time with the game and the engine consistently chugs along solidly. 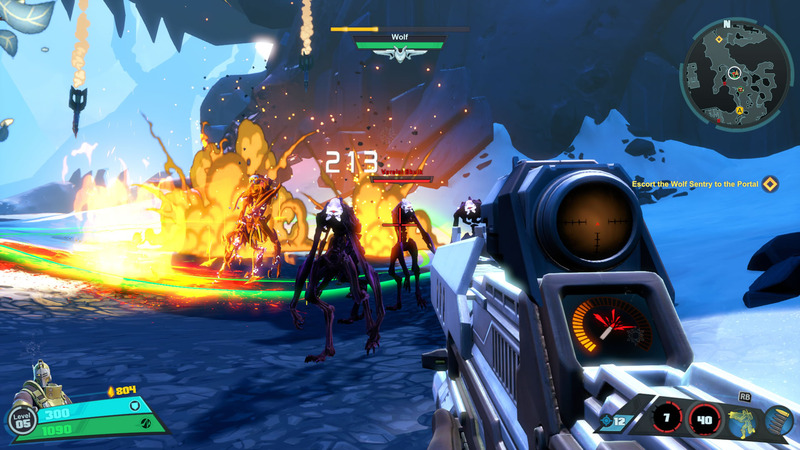 The dialogue is where Battleborn stands out from other similar titles, with that same laugh out loud humour found in the Borderland’s game, albeit admittedly not quite as effective this time around. 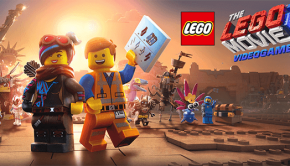 The soundtrack is decent, if relatively unmemorable, and although some of the gunfire and explosion sound effects lack impact, the sound design overall is accomplished and complements the zany aesthetic of the game nicely. 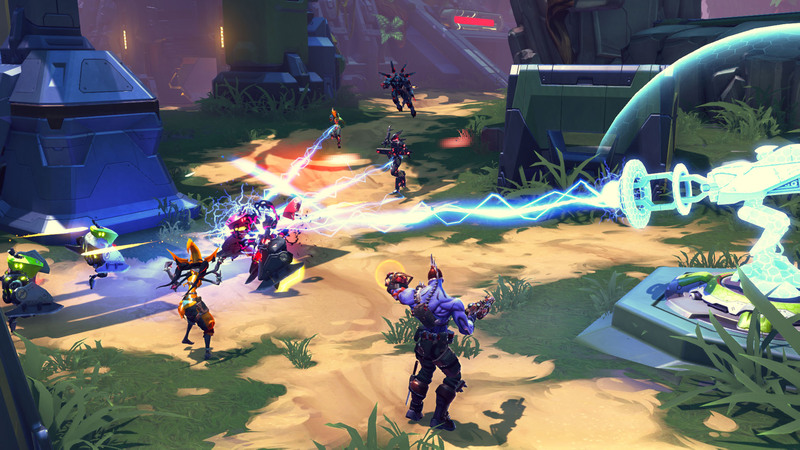 Although certainly not without its flaws, Battleborn is a solid foundation for Gearbox to build upon in the upcoming months. There’s the feeling of a distinct lack of modes and variation in the mission structure. Adding enhancements to your character is a fun exercise and allows for a lot of experimentation, even if it can be a little hard to focus on during the heat of battle and the mixture of genres works surprisingly well, for the most part. The character balancing can be a little off and you’ll likely stick with one or two favourites, although this issue is mitigated somewhat once you start adding to your cast of characters and checking out the different strategies and attack style that they each have. 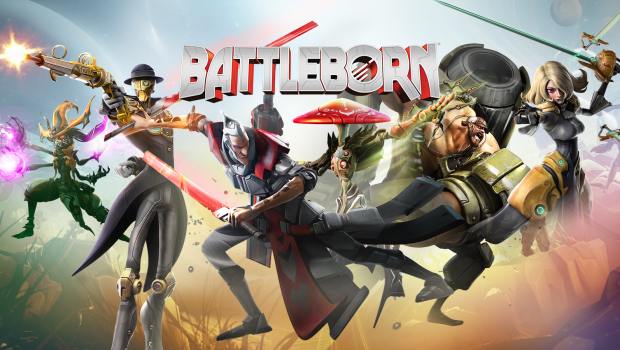 Battleborn is an engaging and often challenging experiment in genre mashing that at the moment is in dire need of a bit more attention; as mentioned earlier, the potential is there for it to become a great game but at the moment it’s simply good, although I’m sure that Gearbox is already on to fixing the areas that need focus and working on the balancing and mission variety issues. 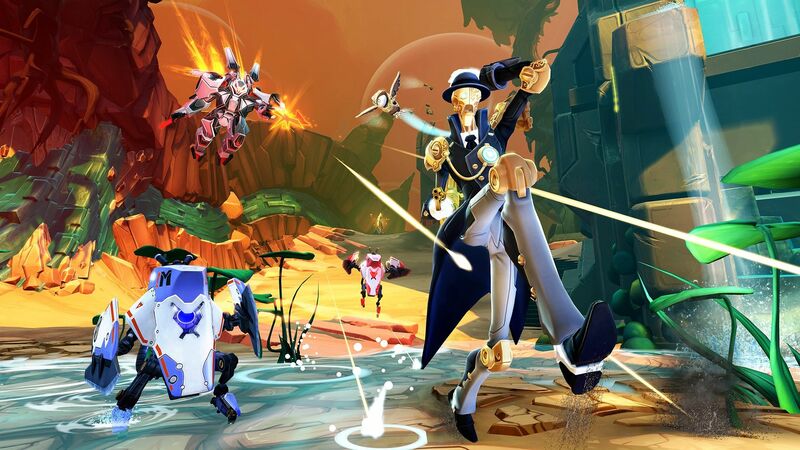 At least, I hope they are, as despite my gripes with the game, I definitely had fun and can see myself returning to Battleborn in the months to come; it’s not for everyone and the more MOBA like elements might turn off those who prefer more traditional FPS games but, as someone who has little experience with games like DOTA 2 and the like, I found myself welcoming the innovative injection of gameplay elements from the MOBA genre and hope that Gearbox continues to take risky chances on shaking things up in the shooter world, as god knows it’s a genre that desperately needs it.